Iran's nuclear chief boasts that there are currently 19,000 centrifuges in the country. 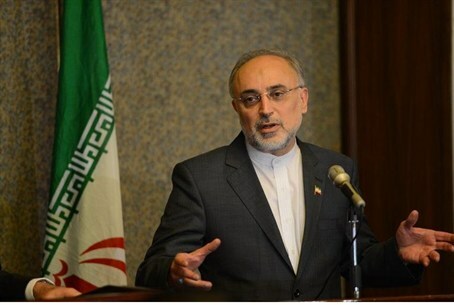 Iran is developing a “new generation” of centrifuges, the head of its Atomic Energy Organization of Iran (AEOI), Ali Akbar Salehi, said Thursday. Iran often boasts of its technological and/or military advances, but it is not clear how accurate these announcements really are and whether they are actually an attempt by the regime to convince Iranians of the country’s military strength. The Islamic Republic is currently involved in technical talks with Western powers on how to implement the nuclear deal that was reached in Geneva in November. Under the deal struck on November 24, Iran agreed to roll back or freeze parts of its nuclear drive for six months in exchange for modest sanctions relief and a promise by Western powers not to impose new sanctions. Since the deal was reached, Iran agreed to allow UN nuclear inspectors to visit the Arak heavy water plant for the first time in more than two years. The Arak heavy water plant had been a sticking point in the negotiations because, once completed, it would produce plutonium as a by-product, potentially giving Tehran a second route to a nuclear weapons capability. Satellite images from almost a year ago showed that the plant was operational, raising fears that it is trying to produce plutonium for a nuclear bomb. The International Atomic Energy Agency (IAEA) believes that Iranian scientists conducted experiments aimed at developing a nuclear arsenal before 2003 and possibly since. Iran has denied the charges, saying that purported evidence comes from faulty intelligence by the likes of the CIA and Israel's Mossad that Tehran has not been allowed to see.